For years I’ve admired poet and wit extraordinaire Dorothy Parker, and have been subscribed to the Dorothy Parker Society newsletter. Through this newsletter, I know the society hosts summertime walking tours of Parker’s old stomping grounds including the Algonquin Hotel. I’ve been longing to go on this tour, but “I’ve always been too busy”, to bring up the cliché. This year, because of my flexibility in my work schedule — I quit my newspaper job last month to concentrate on building my two businesses (for a further explanation of this, visit this post on my new business blog, “Teresa’s Seacret”) — I’m able to partake in Parkerfest, scheduled for Aug. 22-25 in New York City. 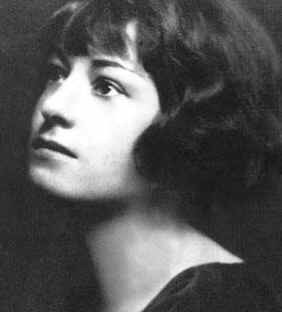 Of all four Parkerfest events, I want to attend “That Dorothy Parker”, a biographical play about the writer. It’s on Thursday, Aug. 24 at 7 p.m. at the The Arclight Theatre, 152 West 71st Street ($22). Carol Lempert portrays Parker in this one-woman drama. I also want to go on the Saturday, Aug. 25 walking tour, but I’ll be in upstate New York that day running my new skin care venture Seacret at the Latin Festival in Albany, NY. The 2012 Parkerfest festival schedule can be found here.